A July heat wave has clamped down over England. Radio Newcastle asked people to text in with the temperature in their office or car; often over 30oC. Up at Druridge Bay the dune grasses are being spun into sward of the finest golds and silvers, bleached and glittering in sunshine. The ponds which last year were overflowing have largely dried. 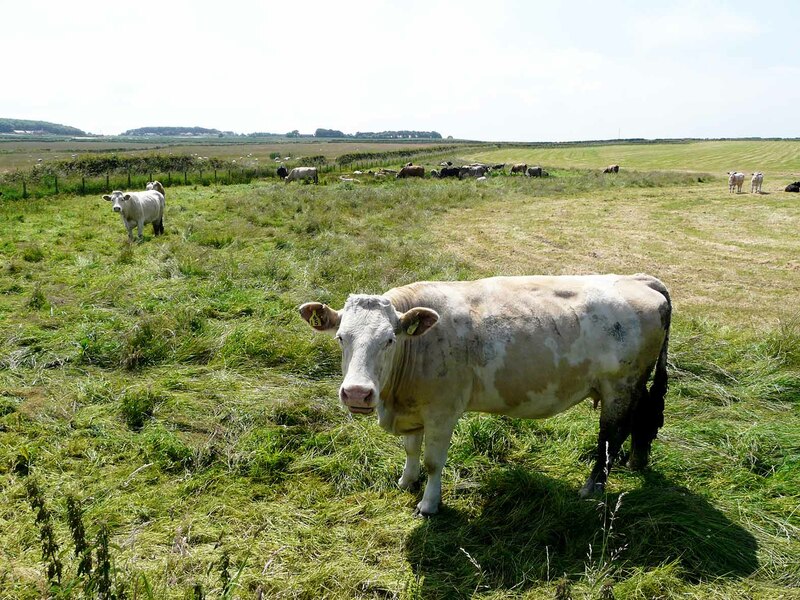 The few which retain a hint of damp have become a haven for cattle, a mini-migration. 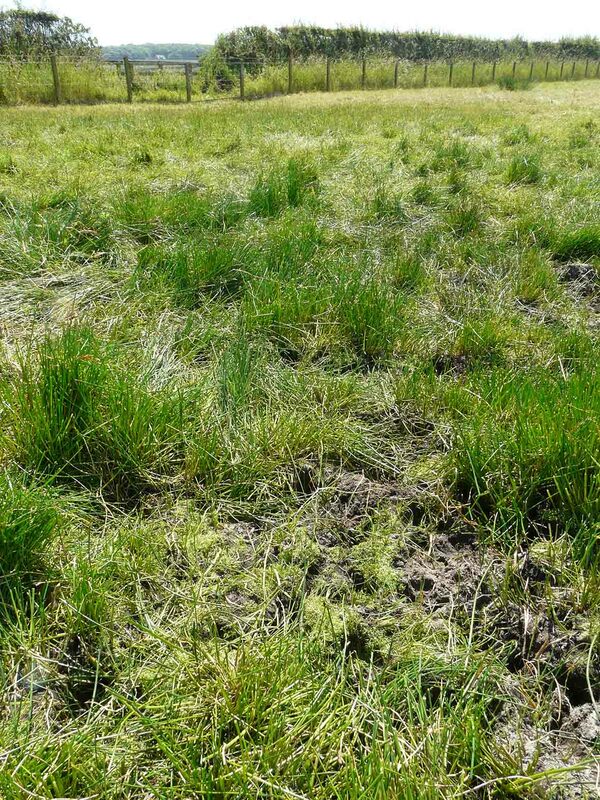 Here is a subsidence pond at the south end of the Bay, in a pasture field, the cattle homing in on the cool soil amongst the grasses and rushes left by the hay cutter. The cows seem to mark out the pond’s outline with a precision to match any surveying I could do. The drying out is compounded by heavy grazing and quite bit of pooing. 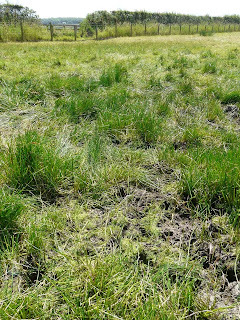 This pond was a verdant swamp of spike rush and jointed rush a year ago, but the clumps of rushes are now bitten down to stumps and the mud poached by hooves. I’d like to know if the livestock can carry pond life from site to site; ectozoochory, to give hitch-hiking on an animal its scientific name. Whilst the expansive bulk of cattle seem a likely form of transport smaller animals can be good vectors too. One of my favourite studies is of things washed from the fur of coypu living (or, had been living) in the Carmargue in the south of France. The coypu had been shot, not part of the study, but as a control programme and Aline Waterkeyn and her colleagues hosed down the corpses to see what the coypu had been carrying. Waterfleas and rotifers, midge larvae and worms, Ostracods and springtails all came off in the wash (Hydrobiologia, vol 652, pp267-271). The water-fleas were particularly species associated with aquatic plants, which fits the herbivorous habits of the coypu. I have a soft spot for coypu, having watched them when I grew up in East Anglia. They would come out of the wetlands and “moo”, slightly forlorn, as if aware of their unloved status. I tried coypu curry once too. The coypu are gone from England now, eradicated due to their impact on crops and river bank defences. 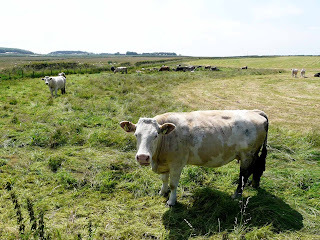 Like the coypu of the Camargue the cattle of Druridge Bay are likely vectors, and they moo.